With little more than 20 miles of coastline, Slovenia does not have a huge amount to offer the charter cruiser. Nevertheless, what it does have is both handy and rather attractive. Realistically, most people will visit the Slovenian coast as a stop-off on their way south to the Dalmatian islands or on their way north to Italy. 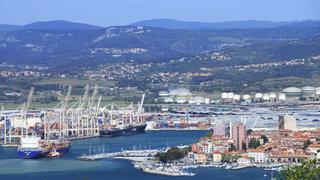 The main port of Slovenia is Koper, in fact it’s the ONLY port in Slovenia. Although the old town is quite pretty, the rest of it is fairly unattractive and to be avoided. The small town of Izola retains some charm, and a busy marina with a few superyacht berths, but most superyachts head for Porto Roz. Porto Roz is a modern marina in the town of Lucija at the southern end of Slovenia’s coast, with all the facilities is superyacht needs. Lucija is fairly non-descript, but it is only a couple of miles to the town of Piran. Piran is an absolutely gorgeous old town, with narrow mediaeval streets, beautiful buildings, and some extraordinary city walls that date back to the 7th Century. There is a small harbour here, but sadly too small to accommodate vessels of any size. However this is a great place to come from late afternoon stroll, if you pre-dinner drinks in one of the many bars, and a meal in a restaurant overlooking the harbour.